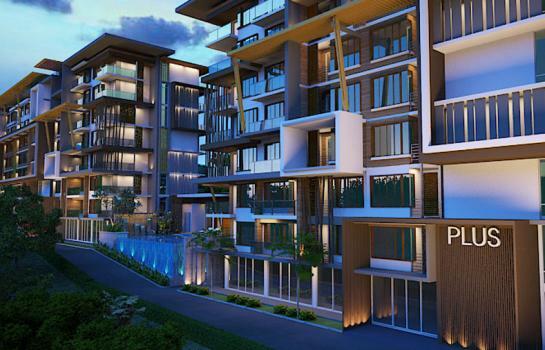 Modern and fully furnished 2 bedroom unit available for Long Term Rental in Kathu, Phuket. The residence provides full facilities. Phuket-2 bedroom apartment for rent in Kathu at "Plus Condominium 2 Residence"
Located in Kathu, the heart of Phuket, this modern 2 bedroom condo is nicely designed, fully furnished and convenient located nearby Central Festival, Tesco Lotus, Big C, Phuket International Hospital and just 10 minutes drive to Patong. A very convenient place to live in! The residence provides Full Facilities including a large common swimming pool, fitness , a parking place, lobby, pool-side seating areas, key card security systems, CCTV and 24 H security guards.